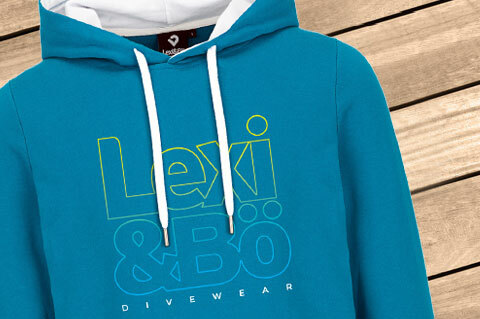 Details "Lexi&Bö Divewear Hoodie Men"
Looks good and keeps you warm - the casual loose-fitting men's hoodie with the great logo print "Lexi&Bö DIVEWEAR" with a cool gradient. 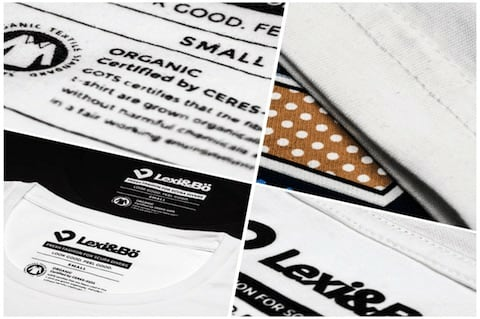 The ink consists of a water-based environmentally friendly printing ink and is completely free of chemicals. 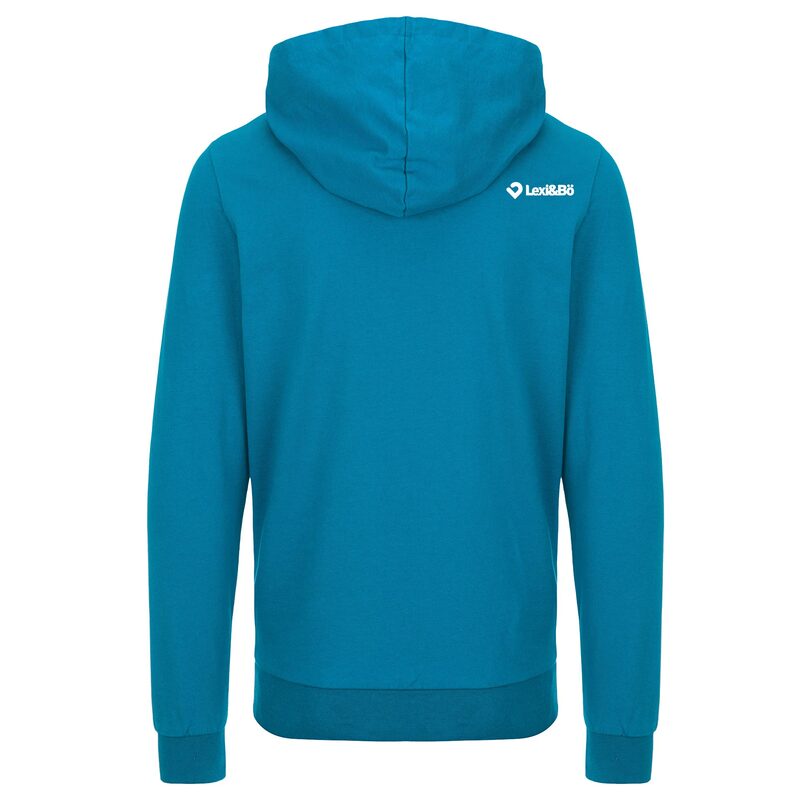 Even the hoodie's Italian Fleece fabric, which is made from 100% organic cotton, does not contain any chemicals and is especially pleasant on the skin. 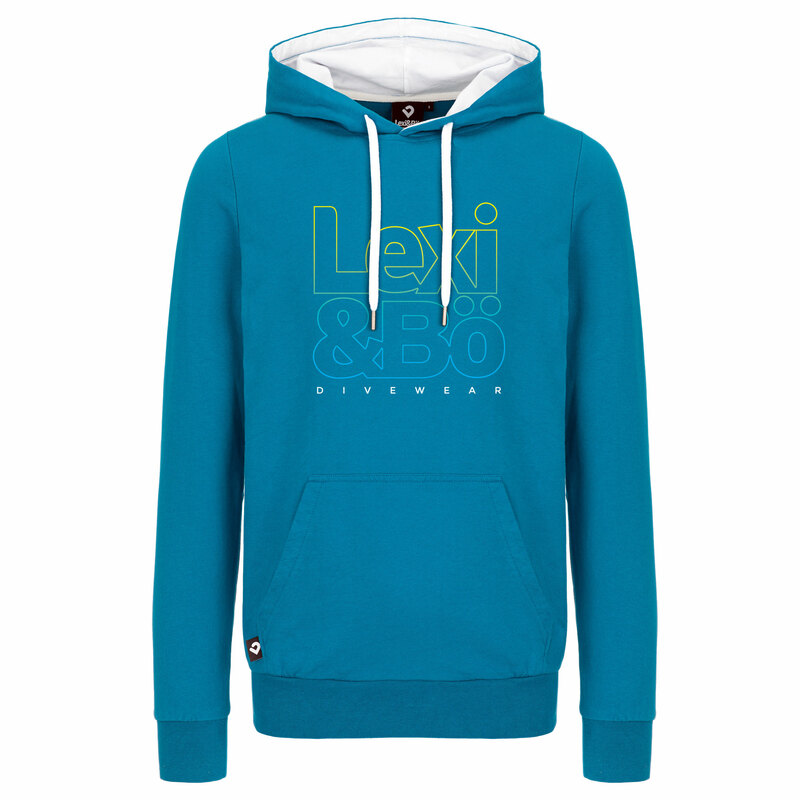 All our hoodies have a special soft touch effect. They were machine roughened, so they feel very soft inside and outside. The radiant fabric in the color mykonos blue sets you perfectly in scene and fits optimal with shorts or jeans and cool sneakers. Customer evaluation for "Lexi&Bö Divewear Hoodie Men"